Are you struggling to breathe with high intensity exercise? Does your throat feel tight and leave you gasping to get air in? It could be that you have Vocal Cord Dysfunction. VCD is commonly mistaken for asthma - and often co-incides with exercise induced asthma - yet asthma medications are ineffective at treating it. That is because VCD is not a problem with the airways or lungs being irritated or inflamed, but because the vocal cords are behaving unusually. Under normal circumstances, the vocal cords move apart on inhale and move slightly together on exhale. With VCD, the vocal cords move together during inhale, restricting airflow and causing concern as breathing becomes difficult. Panic soon follows, which makes breathing feel even worse. Luckily, there is treatment available for VCD. At Breathe Well Physio, we take an in-depth look at breathing patterns and muscle behaviours to determine what is contributing to the VCD. Often an upper chest breathing pattern, faulty postures and tight neck muscles are the culprit. By addressing these areas and including some behaviour modification, you will be able to return to high intensity sport without worry. If you are struggling with the strength and pitch of your voice, a common cause is abnormal patterns of muscle activation. You probably haven't thought of your voice as being muscle related, but in truth, vocal projection is a very complicated muscular function. Your vocal cords (and the muscle that control them) have to balance demands for rapidly changing speech requirements. When an imbalance of muscle activity occurs during phonation, the result can be a range of symptoms from vocal fatigue, neck discomfort, altered vocal quality, to complete loss of voice. By addressing things like head posture, neck muscle tension (including small muscle around the throat and jaw) and breathing patterns, we can assist you in restoring the voice you know! 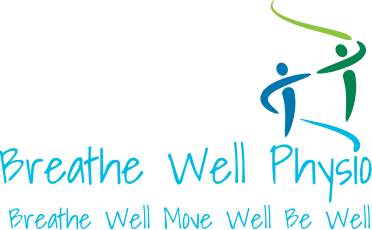 ​Breathe Well Physio is pleased to offer the services of Dr. Rachel Goldenberg, D.M.A. Dr. Goldenberg is our Voice Clinician who has extensive training in voice health. An accomplished soprano, she is often sought after by other singers, performers and voice teachers for consultations regarding vocal concerns. We are pleased to have her on board as part of our Advanced Breathing Clinic that addresses breathlessness and voice issues secondary to upper airway dysfunction. Dr. Goldenberg is available for Vocal Strategy Consultations through Breathe Well Physio. For available bookings, please check here.